2018/2019 Tour: See Me LIVE in Your City! 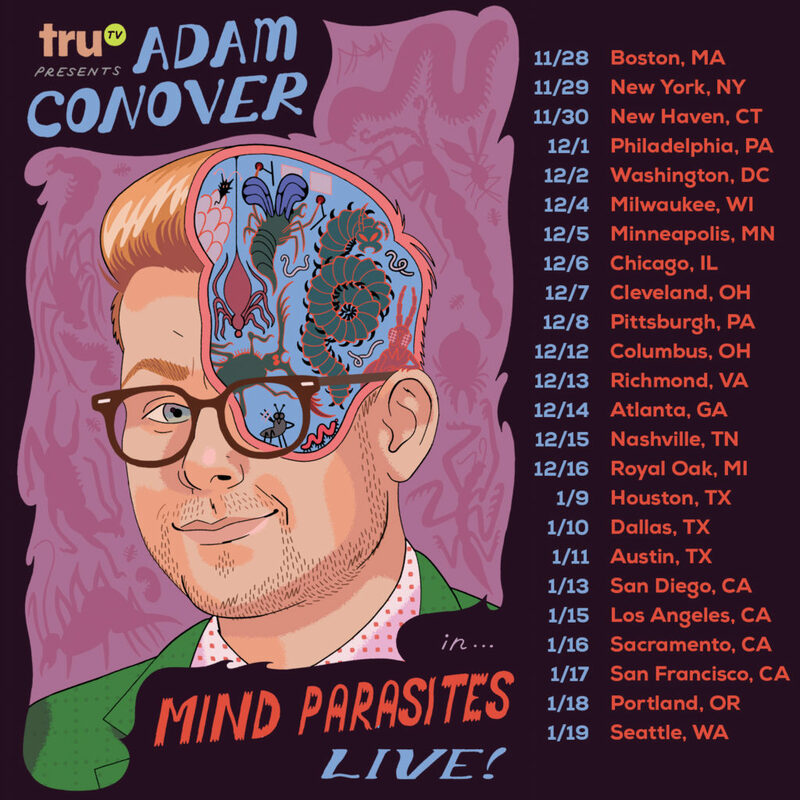 This December and January I’m taking my brand new show MIND PARASITES on a 24-city tour! I’ve been working on this show for a year, and I’m incredibly excited to finally take it across the country: It’s a brand new hour of never-before seen material that combines standup comedy with a psychedelic biology class, taking you on a tour of some of the weirdest organisms in nature, and revealing the cultural parasites that seek to control your mind and behavior. Update: Sadly, these dates had to be rescheduled because of conflicts with Adam Ruins Everything’s production calendar. Stay tuned for updated tour dates for 2019!